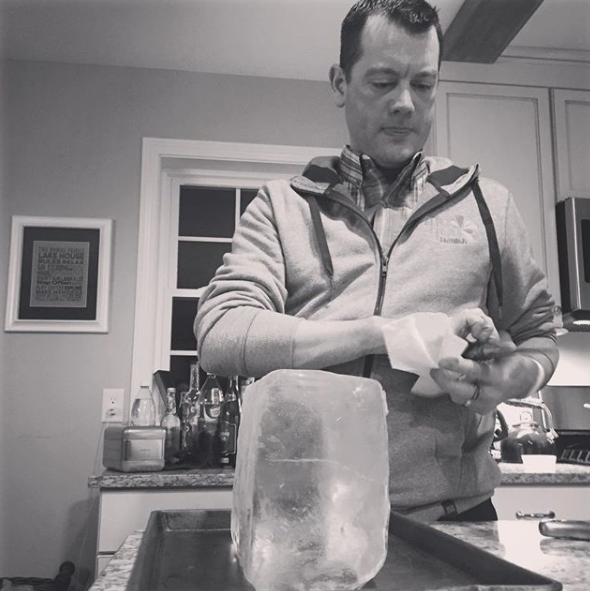 Last Friday, I had an opportunity to entertain a bunch of folks at a dinner party by preparing and serving clear ice, and facilitating a tequila tasting. 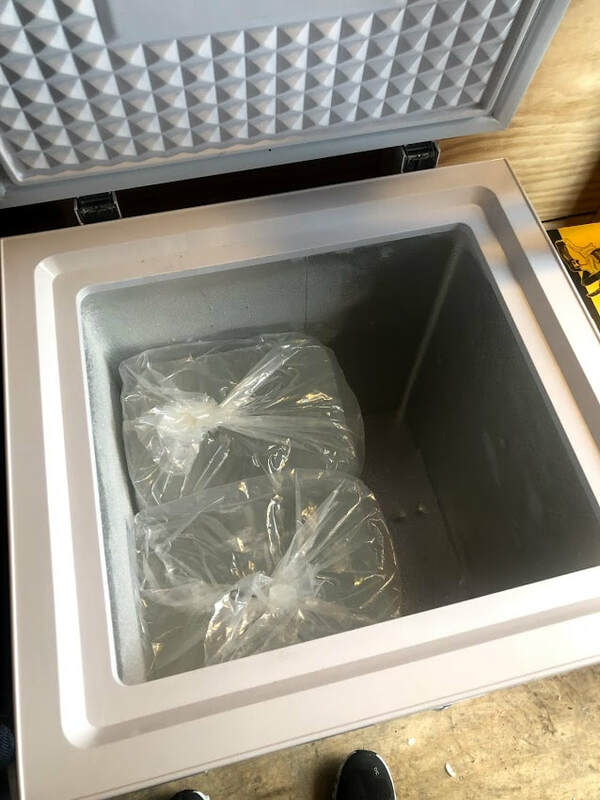 It was the first time I've ever had a "paid gig" sharing clear ice in someone else's home. I've done other events via charity auctions, but never an actual paid opportunity! It was a ton of fun and everyone was amazed! The word-of-mouth network is working! I'm sure there will be more in the future! 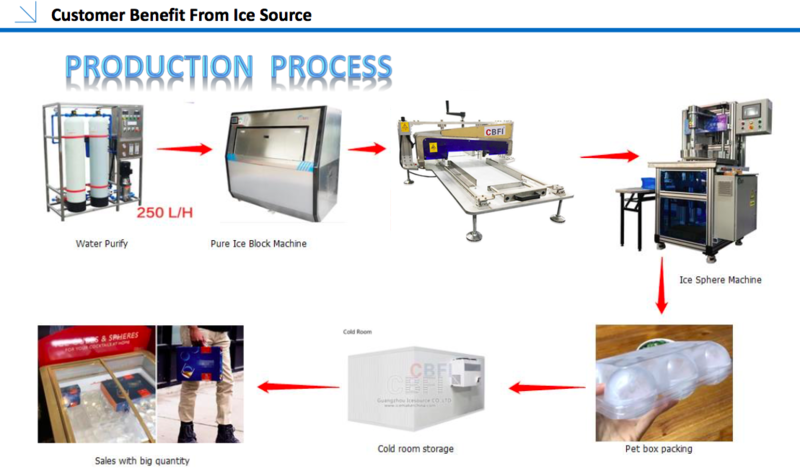 A while back, I linked to some information about a clear ice making machine from CBFI. Since then, I've gotten into contact with them. First because I was interested in getting one to put in my living room... but mainly just because I'm super interested in all the ways that clear ice is starting to find it's way to consumers and retailers. NOTE: I'm not getting paid or compensated for this post. I just think it's really cool, so I emailed them and asked for more information and some photos I could share on the site. They were super nice and sent a few things over that I'm featuring here. CBFI has a cube machine, but they are putting a lot of effort into an ice ball machine that just prints these suckers out at high speed. They are offering up an entire process. Feed your milled blocks into the Ice Sphere Machine and out the other side comes perfectly round ice shaped the same size. Print your ice... package... ship! Guangzhou Ice Source CO, LTD.
You can't pass up a good pour video! Wow... the music fits too. ​...promote the growth and superior business practices for the packaged ice industry through the ongoing development and management of standards and value added services that enhance the image of the industry to the consumers and trade-partners. IPIA will achieve these objectives through proactive leadership directed by priorities set by its member companies. I'm going to be digging in to everyone on the list to see if I can find more companies to add to the Maker Directory! Someone has to ask the question: Does clear ice really matter? Read more to learn about the different views. For my birthday, friends of mine got me a copy of the legendary and award winning Aviary Cocktail Book. As I was paging through, I was super excited to see a whole section (rightly) dedicated to their ice program! Here are a couple of photos about what they cover. It's not a cheap book, but if you are into this stuff, it is a gorgeous coffee table resident. You can get it on Amazon. I found myself with another break in the action and a fridge that was empty. I keep a special freezer in my shed with clear ice blocks, so I pulled one out, cut it in half, and went to work. Half a block creates three freezer bags full of usable cubes. Here is where I keep the uncut blocks in my shed. It stores four blocks. Two full size and two half size. I've been using quite a bit of ice lately, so I'm down to two full size blocks. If you are not following Clinebell on Insta, you should be! For those that don't know, they build the devices that use directional freezing to create large 300 pound ice blocks for ice carving and cocktail ice enthusiasts. 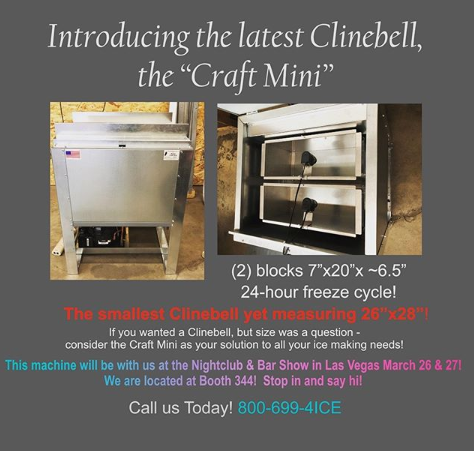 They just announced something pretty game changing in the cocktail ice world: The Clinebell Craft Mini! So now, instead of getting clear ice in 300 pound blocks, you can get them in a size that is much more manageable for a retail or personal ice program. No word on the price yet, but I will be watching this closely! Exciting stuff!